The Washington Navel Orange was imported into the United States in 1870. The trees were propagated upon their arrival and then sent to regions of the country where it was thought they might flourish. More specifically, California and Florida. While the trees in Florida didn’t do well, they thrived in California. They have been grown in Hawaii for several decades and we hope to have good success with them at Sunset Ranch. The fruit is seedless, easy to peel (which we love!) and fruits quickly. So far the trees are thriving at Sunset Ranch and we’re excited to have them as a new addition. 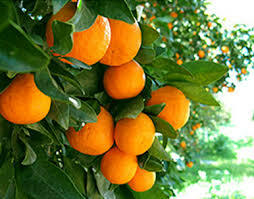 A Clementine is a hybrid between a mandarin orange and a sweet orange. The fruit was brought to California in the early 1900’s and grown commercially. Clementines have been grown in limited quantities throughout Hawaii for many years. 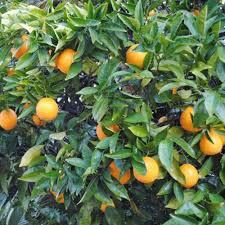 Similar to our Washington Naval Oranges, they are easy to peel and seedless! We love this fruit for its sweet and juicy flavor. While we have to manage the bugs carefully; so far they’re doing very well at Sunset Ranch. Also commonly referred to as a Persian lime (originating from the Far East), the Tahitian lime was introduced into the United States in the late 1800s. A seedless variety was developed in California around this time as well. And this is the variety we have at Sunset Ranch. We love NO seeds! This particular variety also has a uniquely fragrant and spicy aroma. They are also less acidic than key limes and not nearly as bitter tasting. These trees are thriving at the ranch, and bugs don’t appear to be as big of a problem. The Meyer Lemon is a citrus fruit that is native to China, and likely a cross between a ‘true’ lemon and some variety of orange. This fruit was also introduced to the United States in the early 1900s by the agricultural explorer Frank Meyer. While considered more of an ornamental tree in China; it is now a popular food item in the Unites States. Meyer Lemons have been in Hawaii for quite some time too. 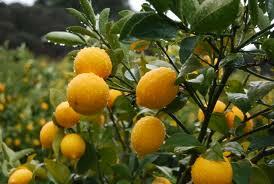 The Meyer Lemon has a sweeter, less acidic taste as compared to the common lemon. While bugs seem to be especially attracted to these trees; we’re watching them carefully! 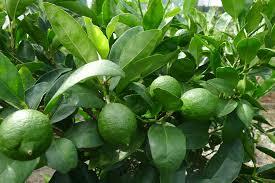 We’ll continue to keep you posted as we add more and more fruit trees at Sunset Ranch. We just received some new avocados and lychee that we hope to be planting soon! Feel free to contact us at any time for a site tour or for more information! Mahalo nui loa for your continued support!